What glue should I use to assemble these paper airplanes? What paper should I use for these paper airplanes? Which is the best airplane? -Accurate application so that you can easily apply a bead of glue over a narrow paper tab. -Transparent. The airplane will look better if too much glue is applied and it overflows tabs' boundaries. -It should dry fast enough. It should be strong enough to hold pieces together after two minutes. -It should dry slow enough. The glue must allow enough time to manoeuvre pieces before setting. -Most importantly: The glue must not deform or wrinkle the paper. -Stick Glue is not accurate and bends the paper. It dries well though. -Poly Glue for plastic models simply doesn't stick to paper. -Cyanoacrylate glue also does not seem to paste paper. 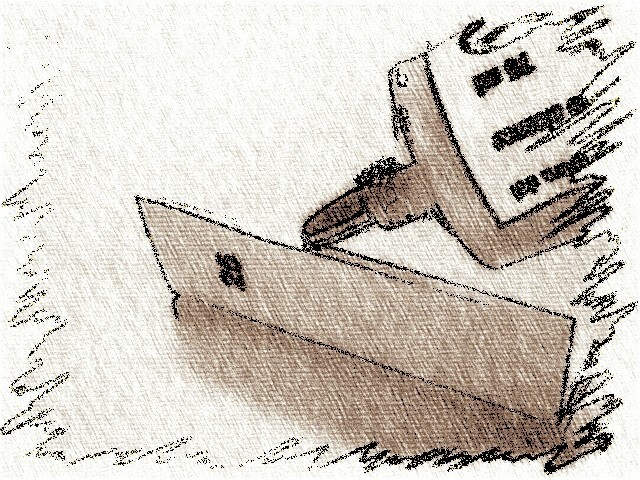 -Wood glue dries too slow and bends the paper. -Expanded Polystyrene glue dries too slowly. -Yellow contact glue is suitable but yields a dirty result. -Balsa cement is clean, dries and sticks well but it significantly bends the paper. -Finally, Transparent contact glue suited all requirements. 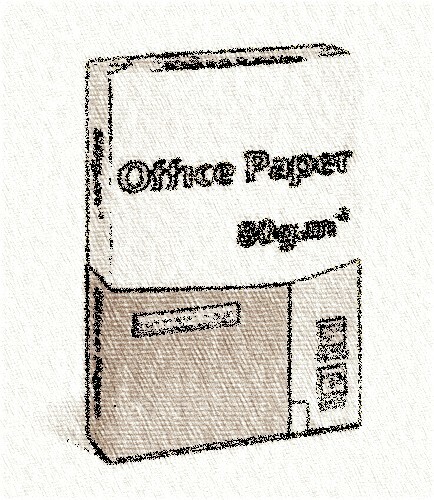 Typical office paper for general use in letter format // DIN A4, with a base weight of 20lb // 80gr/m2, may be best. 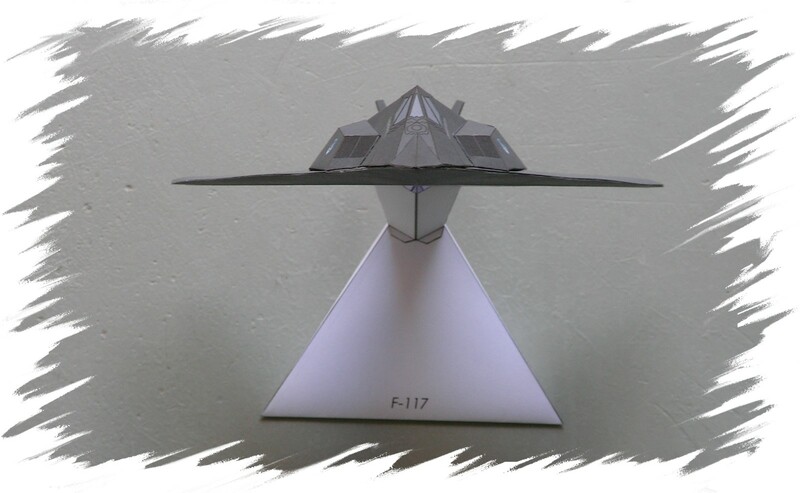 It is light enough to assemble flying models and easy to fold. Using thicker paper will produce better looking models but they will be heavier and more difficult to fold. 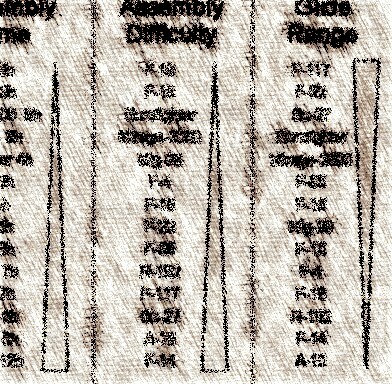 Printing quality should be normal or draft. Too much ink on common paper could result in wrinkles. The product that you are purchasing is an e-book. It is a PDF document with airplane parts to print at home. It also contains detailed step by step assembly instructions and a flying guide. 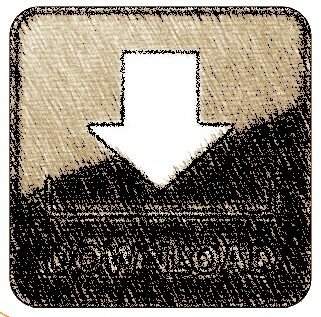 After the payment is complete, you will see a link to download the e-book to your computer. You will receive a confirmation e-mail with the same link. Don't expect to receive your order by postal mail. You must download it to your computer yourself after the payment is done. Depending on the features you are looking for in the airplane, you will find some planes are better than others. 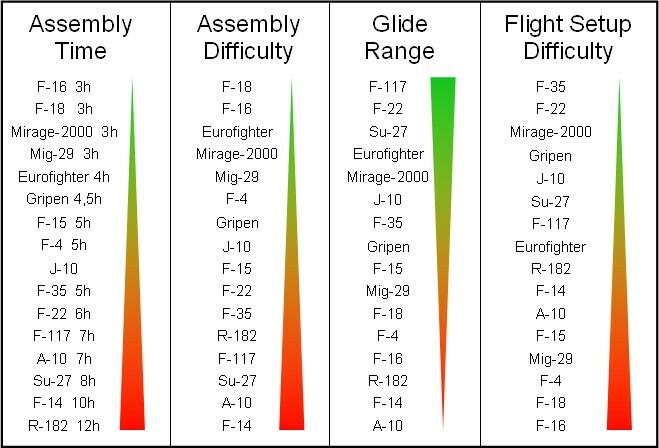 The following table compares four qualities of airplanes in the PaperAircrafts collection. Of course, these comparisons have nothing to do with the actual airplanes nor with the same models in other collections.